During a lengthy career that includes stints as a federal prosecutor and judge, Paul Cassell has devoutly upheld the vision of 18th Century arch-authoritarian Joseph de Maistre, who taught that “all greatness, all power, all social order depends on the executioner.” The figure dispensing lethal violence on behalf of the state is both “the terror of human society” and the “tie that holds it together,” Maistre insisted. “Take away this incontrovertible force from the world, and at that very moment order is superseded by chaos, thrones fall, society disappears." 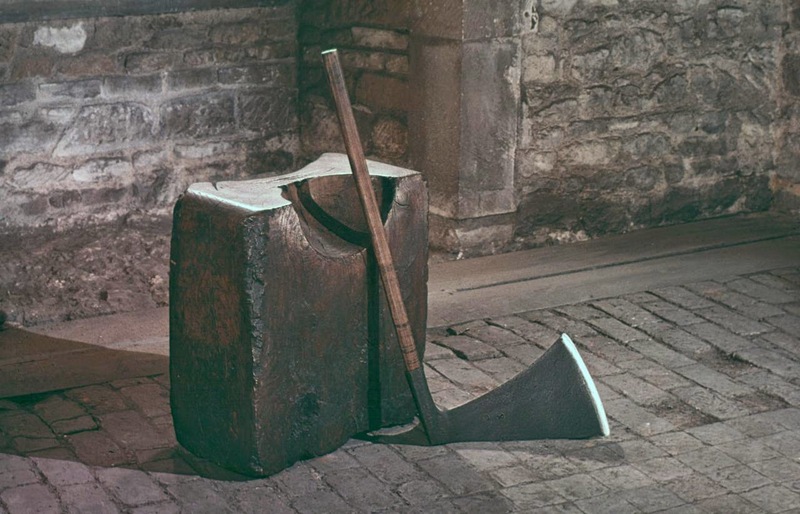 For Maistre, the executioner is a high priest presiding over the arcane ritual in which lethal violence is transubstantiated into public order. Paul Cassell shares that view. Removing procedural impediments to execution has been one of two causes that have largely defined Mr. Cassell’s legal activism. The other is a campaign to overturn Miranda v. Arizona and the “Exclusionary Rule” buttressed by that decision. Cassell has distinguished himself by his zeal to allow police to brow-beat people into confessions, and executioners to ply their trade more energetically. Clearly, Cassell considers the current legal system to be too deferential to the rights of defendants, insisting that we shouldn’t let our concerns about due process undermine the rights of crime victims. Owing to his background, Cassell is perhaps the last person we should expect to see surrendering to civil libertarian impulses. However, the case of accused killer Shaun Cowley has cooled Cassell’s ardor for swift punishment and prompted him to question the legitimacy of compelled confessions. 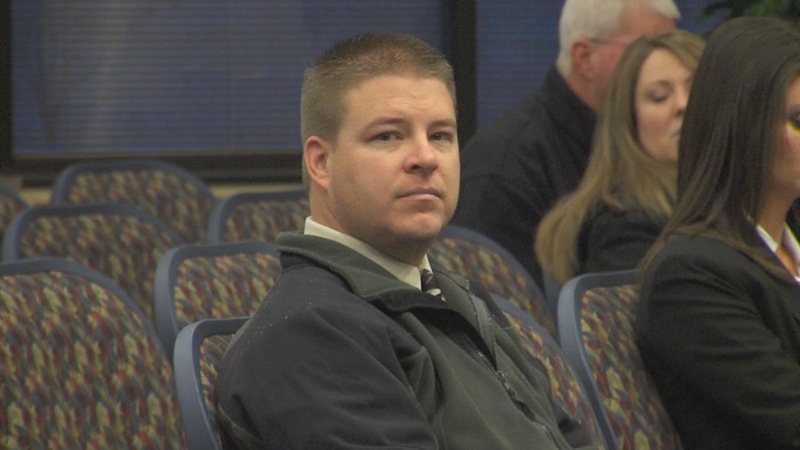 This is because of the identity of the killer, not the nature of his act: Cowley is a former West Valley City Police Officer accused of manslaughter in the November 2, 2012 shooting death of Danielle Willard. When Cowley pulled the trigger, he was behaving as the executioner ex officio. That is the only reason why Cassell, who is currently a law professor, has volunteered his services to the ex-officer’s defense team. Willard, a slightly built 21-year-old Vancouver, Washington native, had relocated to Utah to attend a drug treatment program. 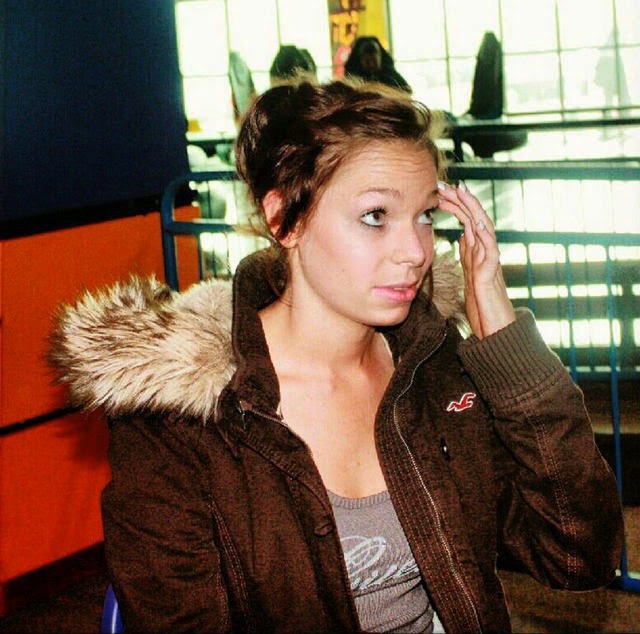 A few days before she was killed, Willard had called the police to report a break-in at her apartment the apartment where she was staying temporarily. This suggests two things – first, that she wasn’t trying to conceal illegal activity from the police, or she wouldn’t have invited their attention; second, she was concerned about a potentially fatal threat to her personal safety. That mindset would explain why Willard panicked at the sight of two armed strangers in street clothes whom she may not have identified as police officers. When Cowley and his partner, Officer Matt Salmon, approached Willard in the parking lot of her apartment complex, she locked her car and refused to roll down the window. After Crowley obtained a crowbar to shatter the driver’s side window, Willard put the car in gear and attempted to flee the parking lot, backing her Subaru Forrester into a police cruiser (or, in one account, a car belonging to one of the residents) and then allegedly injuring Cowley as the car brushed against him. Cowley, who was not seriously injured, shot Willard twice, once in the top left-hand section of her head, while he was standing beside the car, rather than in front of it. The DA’s investigation concluded that at the time Cowley fired the shots, Willard was not driving fast enough to endanger the officer’s life, or that of his partner, who also fired several shots without hitting Willard. If Cowley and Salmon had been members of a private sector narcotics gang, both of them would face capital murder charges. The investigation into the Willard killing revealed that the agency employing the shooter was a privileged criminal syndicate: The killing of Danielle Willard should have led to a RICO prosecution of the narcotics division, if not the entire department. 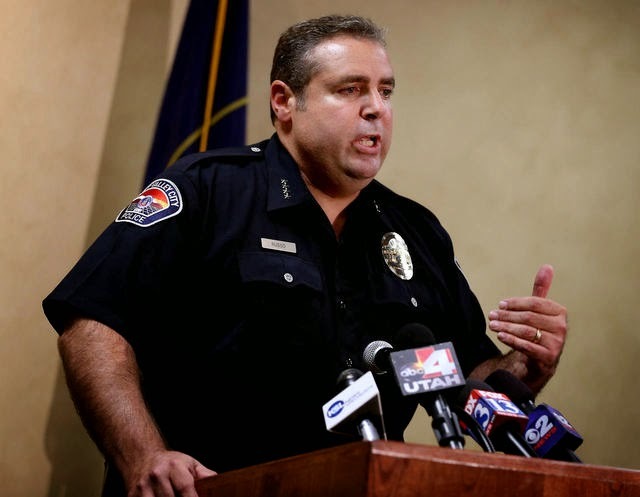 An audit of the West Valley PD ordered by Salt Lake County DA Sim Gill led to the discovery that the narcotics unit that employed Cowley had stolen money, drugs, and “trophies” from narcotics suspects. 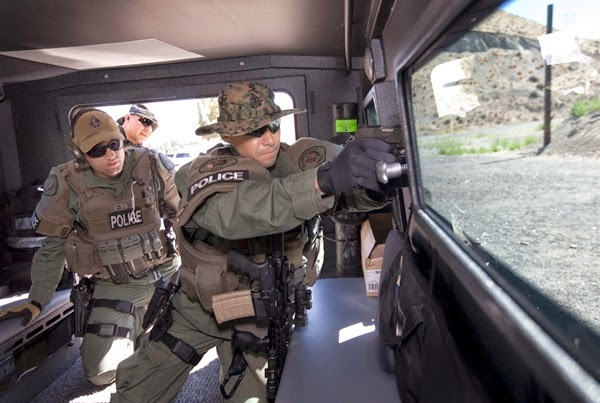 Interviews with “cooperating informants” weren’t recorded properly, and officers regularly violated the Fourth Amendment by attaching GPS monitors to vehicles without warrants. As a result, Gill dismissed 125 drug-related criminal cases and the department disbanded the drug unit. Amid accumulating revelations of systemic corruption within the department mounted, Chief Thayle Nielsen suddenly retired, citing a previously undisclosed “health” issue. Cowley was fired as well -- not for killing Willard, but for “misplacing” drug evidence that was found in the trunk of his car. 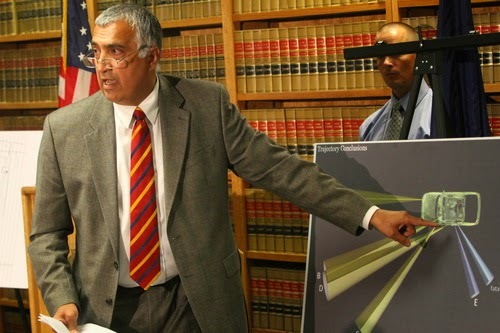 Earlier this summer, Attorney Mark Geragos, who is representing Willard’s family in a lawsuit, filed a motion alleging that an officer other than Cowley had been given a “hush money” buyout when he left the West Valley PD in order to dissuade him from revealing corruption within the department. Nielsen’s successor as chief, Lee Russo, admitted that the officer had been fired after being accused of sexual contact with potential suspects, and that he had received a severance payment after signing a nondisclosure agreement, but insisted that it was “in no way, shape or form” a hush money arrangement. “The assertion that we still have criminals [in our] department is offensive, irresponsible, and inaccurate,” protested Russo, offering an oblique admission against interest that did nothing to reassure the public. Remember that admission; we’ll revisit it anon. 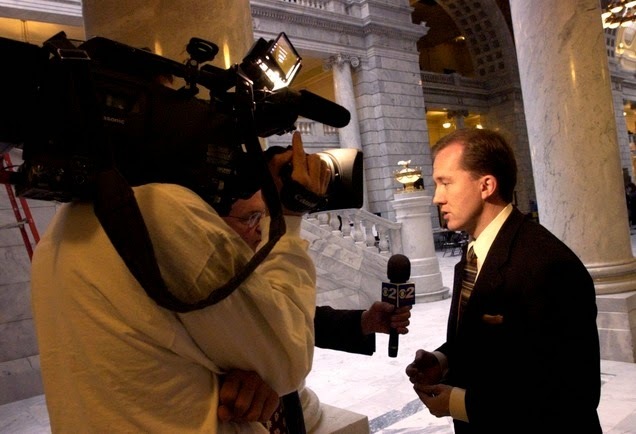 For lancing this malignant carbuncle on Salt Lake County’s body politic, Sim Gill earned effusive praise from the upright and public-spirited personages who compose Utah’s political establishment and law enforcement community. The ripening controversy prompted Cassell to descend from the Olympian realm in which he resides to act as a defense attorney for the first time in a career otherwise uniformly devoted to expanding state power at the expense of the defendant’s rights. 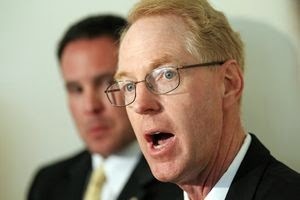 Condemning a foreign-born "cop hater": The bilious Bennion. In 2000, Cassell filed amicus briefs in Dickerson v. United States in the eager expectation that the Supreme Court would the Miranda ruling and reinstate Section 3501, a statute that would allow admission of “voluntary” confessions by suspects who had not received the Miranda Warning. The High Court upheld Miranda and found Section 3501 to be unconstitutional. This prompted Cassell and congressional allies to redouble the efforts to enact a “victim’s rights amendment” to the Constitution. The Clinton administration, which was not notable for its devotion to due process, proposed four changes to the draft amendment, one of which would add the following language: “Nothing in this article shall be construed to deny or diminish the rights of the accused as guaranteed by the Constitution. “To put that language in would have perpetuated the very problem we were trying to solve,” complained Cassell – the “problem” being that suspects are considered innocent until proven guilty of an offense, rather than being regarded as offenders by virtue of being put on trial. In addressing the charges against Cowley, Cassell has neatly inverted the priorities he had followed for decades. This is a case in which there is no dispute regarding the identity of the shooter and that of the victim. Yet Cassell has pointedly declined to solicit input from the victim’s family, or argue that they have a role to play in the legal proceedings. His priority is to dispose of the matter before it can come to trial by suppressing statements Cowley made to officers investigating the violent death of Danielle Willard. Cassell accuses Gill of making improper use of statements made by Cowley after he invoked his supposed “Garrity” privileges. As I’ve explained before, under the special immunity established by the Supreme Court’s ruling in Garrity v. New Jersey, an officer suspected of misconduct cannot be prosecuted on the basis of statements made during an internal investigation. The only leverage investigators have against an uncooperative suspect in that context is the threat of termination. That sanction doesn’t involve an injury to an actual property right, since a police officer cannot legitimately claim a property right to a position subsidized by plundered wealth. A criminal defendant not protected by Garrity, on the other hand, faces immediate and acute threats to his person and property. Furthermore, any contradictions between the first version of the suspect’s story and the one that emerges from a lengthy interrogation can be used as evidence against him. This is why the Exclusionary Rule, and the right against self-incrimination it protects, are indispensable. Cassell regards Miranda to be inimical to public order because it can deter suspects from confessing. Not surprisingly, he insists that Shaun Cowley must be spared the blessing of such compelled soul-cleansing, or anything akin to it. Cassell, who treats Miranda as a profanation of the state’s punitive rituals, regards Garrity to be sacred and inviolable because of the role played by the people it protects. Would Cassell be similarly fastidious about a “tainted” prosecution if Cowley and Salmon had been two drug dealers who shot at Willard in otherwise identical circumstances – or if, in that scenario, she had actually attempted to run down Cowley? Of course not: Because of their affiliation with a narcotics unit that the current West Valley PD Chief admits was a criminal gang, Cowley and Salmon were privileged aggressors. “Effective” enforcement of the “law,” from Cassell’s perspective, requires that the executioner enjoy a special exemption from it. Listen to or download the most recent Freedom Zealot Podcast here. That officer was one of three who were in a position to help on August 18, 2013 when Basford attempted to arrest Antonio Cardenas, a recently paroled felon who was suspected of aggravated assault with a firearm. Concerned over the safety of bystanders, including a young girl, Officer Basford didn't pull his gun. He found himself grappling with a younger ex-convict who was several inches taller and at least sixty pounds heavier, while every other available nearby officer found something better to do. As they struggled, Cardenas reached for his .44 Desert Eagle and squeezed off a shot. Basford managed to wrench the shooter's hand away from his body at the last second, but still suffered a grazing gunshot wound to his knee. Already in severe oxygen debt from the struggle, Basford quickly began to feel the effects of blood loss. Worried that if Cardenas escaped he might finish killing him or attack a bystander, Basford applied a rear-naked choke – a potentially lethal hold that was, in this situation, used defensively. Ira Cavin, left, gets in some SWAT cosplay. “Our union representative, Officer Ira Cavin, told me that Garrity didn't apply in this situation, because I had supposedly committed a criminal act,” Basford attests. To his astonishment, Basford was told that he would be charged with assaulting the man who shot him in the knee – but that charge was quickly dropped. To put that anomalous act of leniency in context, it's worth remembering that an unarmed Florida man who was assaulted by a police officer during a traffic stop at a convenience store was recently charged with “attempted murder” for defending himself against what appeared to be the officer's attempt to choke him out. That incident involved a driver accused of running a stop light. 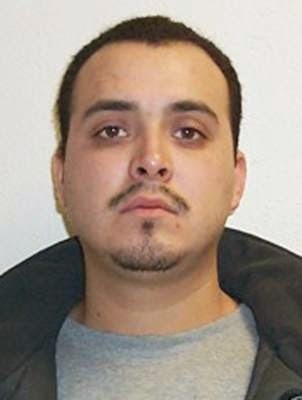 Cardenas, a convicted violent felon, was carrying a stolen gun that he had allegedly fired during a nearby shooting – and that he used in an attempt to kill Basford. Agitprop detail: Officer Yates is in the middle. On August 18 – exactly one year after his life-altering fight with Cardenas – Basford had a preliminary hearing on a charge of “filing a false report to a public servant.” If the case goes to trial, and Basford loses, he may spend a year in jail – nearly as much time as the recidivist felon who shot him in the leg. Given Basford's experience as a conscientious officer with the Yakima PD, it's not surprising that he now faces a patently retaliatory charge for filing a police misconduct report as a civilian. The source of Basford’s trouble is the fact that he didn't define his professional identity in tribal terms. Basford's military background, counterintuitively, reinforced his restraint in using force for purposes he considered defensive. An anonymous commenter below complains that the foregoing account of Adam Basford's experiences with the Yakima Police Department is one-sided. While not stipulating to that characterization, I will point out that today, more than a year after the encounter with Antonio Cardenas, that incident is subject to an "ongoing investigation," which means that the YPD is refusing to release the documents concerning Officer Basford's conduct in the matter. An official review of the shooting has reportedly been finished, and although both Basford and his physician have been promised a copy of that document, it has not been provided to either of them. Contemporaneous press accounts to which I've provided links confirm that Basford arrested Cardenas, that he was wounded by gunfire, and that his own weapon was not used. I have seen numerous photographs -- some of them unsettling -- of the injury he sustained. It was not trivial. The commenter made a veiled reference to Basford's "background." Without delving into the details, I will disclose that Basford described to me a difficult upbringing in a troubled home with a father who was intractably mired in a criminal subculture. Earlier this year his father committed suicide in suspicious circumstances. There may be a connection between Cardenas's associates and the death of Basford's father, but Adam was in no way implicated in that matter, beyond being an understandably horrified observer. I didn't deal with that aspect of the story because the article had become prohibitively lengthy and complicated -- and because I haven't been able to answer certain key questions to my satisfaction. It's not necessary to regard Mr. Basford as a paragon of virtue (he certainly doesn't) in order to appreciate his sincere and commendable effort to be a conscientious peace officer within a thoroughly (which is to say, typically) corrupt department. P.P.S. -- I've added a link above to a news story from August 2013 offering confirmation of Adam Basford's claim that police are concerned about crude, small-yield improvised explosives "with the potential to kill somebody" that have been found in some parts of Yakima. When confronted with an allegation of official misconduct or corruption, a journalist will investigate the complaint. In the same situation, a state-licensed apologist will investigate the complainant, in order to vindicate power in the eyes of the public. The video provided to KNDO – which wasn’t available to me at the time I wrote the original story – validates most of Basford’s account: It shows police responding after the altercation; documents that Basford was wounded (although at the time his wound – which proved to be very serious – was dismissed as “superficial”) – and that Basford was concerned about the suspect going for a gun; and it captures the image of Basford striding toward the suspect with a drawn gun at his side.
. Chief Rizzi is still dealing with the degenerate corporate culture he inherited from former Chief Sam Granato, and his administration isn’t a substantive improvement over that of his widely despised predecessor. Rizzi blithely ratified an internal review that permitted Officer Casey Gillette to escape punishment after he beat an unarmed man and unlawfully arrested him for “disorderly conduct," which is not an offense under Yakima municipal statutes. As a Supervisory Review of that case demonstrated, the false charge was “chosen to justify Gillette’s [unlawful] use of force and possibly to protect the city” from a lawsuit. A few months later, an innocent man who was sleeping in his car. That shooting was ruled “justified” because of the “perceived threat” reported by Gillette after killing the victim. It is a bit precious of Rizzi to feign outrage over Basford’s behavior after getting shot while countenancing the execution-style shooting of a sleeping man. It would have been appropriate for Mr. Luther or other reporters from KNDO to ask Chief Rizzi about these matters. If those questions were asked, Chief Rizzi’s answers were not made available to the public. But remember: The purpose of the KNDO report was to investigate the complainant, not the complaint. 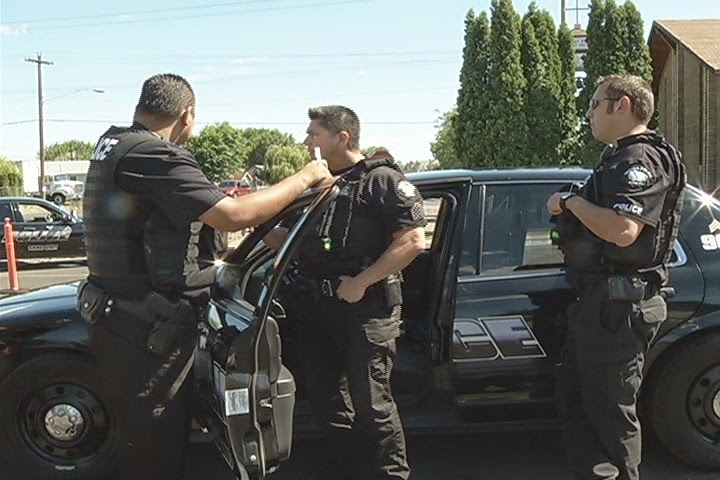 Adam Basford, who arrived at an “amicable separation” from the Yakima PD following his injury, told me that he was often left without backup because of complaints he had made regarding misconduct by fellow officers. After leaving the force, he filed a complaint against Officer Ryan Yates arising from what he described as a confrontation in the parking lot of a sporting goods store. KNDO was provided with what it described as “inconclusive” security camera footage of the confrontation. Luther’s story also noted that Basford’s complaint was dismissed, and he was charged with “filing a false report.” An actual journalist might have asked Chief Rizzi to explain whether it is standard procedure for a citizen to be charged with a crime when his department doesn’t sustain a misconduct complaint. He might also point out that the Yakima PD and the DA apparently consider it to be a more serious "crime" for a citizen to file an unsustained complaint about police misconduct, than for a convicted felon to shoot a police officer who had complained about misconduct by his colleagues, given that Basford actually faced more time behind bars than the man who shot him. A journalist might ask Rizzi for comment about that matter. Luther had the opportunity to ask those questions. His apparent refusal to do so tells us which of the two roles described in the first paragraph above he has chosen to play. Luther contacted me late in the evening on October 21 – less than 24 hours before KNDO’s story was broadcast. I replied by sending him several hundred pages of documents I had obtained through public records request and other means. No, he didn’t. 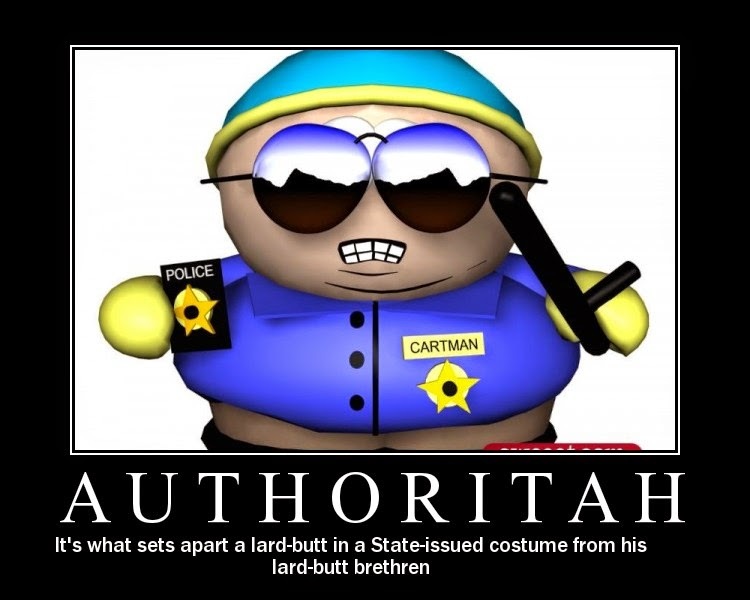 Absent the gifts for speed-reading and comprehension enjoyed by the psionically enhanced Gary Mitchell, it would have been humanly impossible to review all of the documents I provided to Mr. Luther. It’s reasonable to surmise that by the time Luther contacted me, the copy had been written, the footage had been interviewed, and all that was left were a few inserts and the obligatory stand-up in front of the Yakima PD Office. What this means, obviously, is that the Yakima PD can tell whatever story it wants about Adam Basford, and Mr. Basford faces the prospect of imprisonment if he speaks in his own defense. A journalist would be expected to ask questions about that arrangement or, at the very least, explain it to the public. It’s a pity that KNDO doesn’t have anybody meeting that description on its payroll.